Today, we are excited to release a new famous song that you will be able to learn with Yousician: Mad World. Originally a song by Tears For Fears, this version is according to the cover by Gary Jules and Michael Andrews for the soundtrack of the 2001 film Donnie Darko. 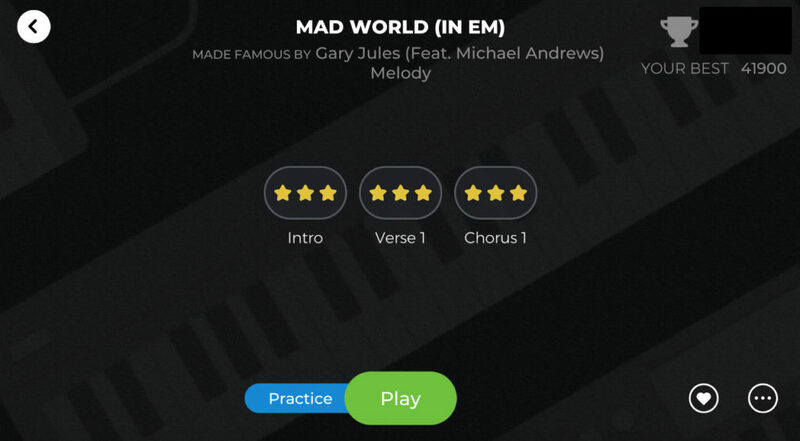 Mad World is available in Yousician for Piano, Guitar, Ukulele, and Voice. Curious to know what some of our educators have to say about the different Guitar and Piano versions available in Yousician? Read their thoughts below! In this song, you, as the pianist, really get to be in the spotlight, as there is no one else accompanying the singer. It’s a beautiful song and almost fragile, and the piano is the perfect instrument to express these emotions. It has only two different parts and there is a comfortable amount of repetition, which makes it a very fruitful song for fun piano exercises! In the melody exercise (level 3), you can play the melody in both parts with your right hand. I recommend you pay attention to which fingers you use for pressing the keys. You don’t actually have to move your hand around at all, as the exercise has only five different notes. One for each finger! In the two hands exercise (level 4), you can get a feel of the accompaniment style in the song. In this style, your left hand first plays the bass note and your right hand follows with a chord or a melody note. Keep your hands in one position, one finger per note. This way you don’t even need to look at your hands when you play. The accompaniment exercise (level 5) has the same rhythm, but there are full chords and some piano melodies. 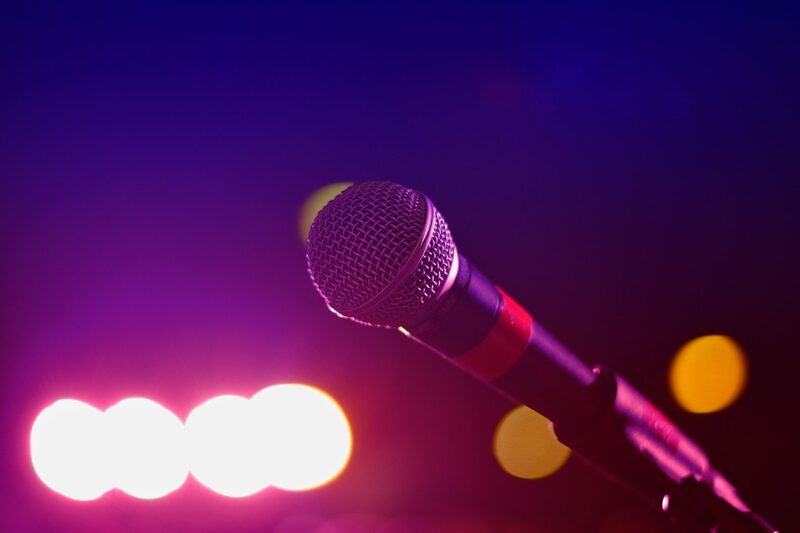 With this exercise, you can accompany a singer, or sing it yourself! Try to keep the rhythm stable and calm, and you can also try to keep the volume as constant as you can. This song happens to work really well as a solo piano song, so you don’t need a singer to perform it with. I recommend you start practicing this by playing only the left hand first. Once you get the feel of the chords and the swaying motion of your hand, adding the right hand should be quite simple. This will be a great song to perform for your family and friends. I hope you have fun with the exercises! There isn’t any guitar in the recording of Mad World, but it’s a really fun song to play on guitar, and more guitar is always better! Right!? This song has a nice simple structure (Verse-Chorus repeated), and the tune is made of just a few small repeating blocks. This makes it fairly quick to learn – once you get the hang of a block, playing it again is easier. In the basic melody exercise (level 2), you’ll play the core melody notes, all on frets 2 and 4. Do your best to use your index and ring fingers as shown – it’s a more efficient way to play than just using one finger. In the full melody exercise (level 5), you’ll play the whole melody, including the piano and vocal parts. There are some quick notes and tricky string skips, so remember to slow it down and practice in small sections. The broken chords exercise (level 5), on the other hand, will make you use the very popular “bass-strum” pattern with familiar cowboy chords. It’s just a matter of picking the root note (lowest note) of each chord, then strumming the chord as normal. It’s common on guitar, but also popular on piano as you can hear! In the fingerpicking exercise (level 7), you get to play the piano parts on guitar, including the cool descending melody line in the chorus. It’s really fun to play and sounds great on guitar. If you can also sing, this would be a perfect way to accompany yourself. Hope you enjoy playing Mad World!